Home HEALTH Woman's 2 months pain after doctors forget a 10 cm cloth in her womb. Woman's 2 months pain after doctors forget a 10 cm cloth in her womb. 49-year old Jane Kageni and a mother of 3 talking with the press as recuperates at her Thika home. 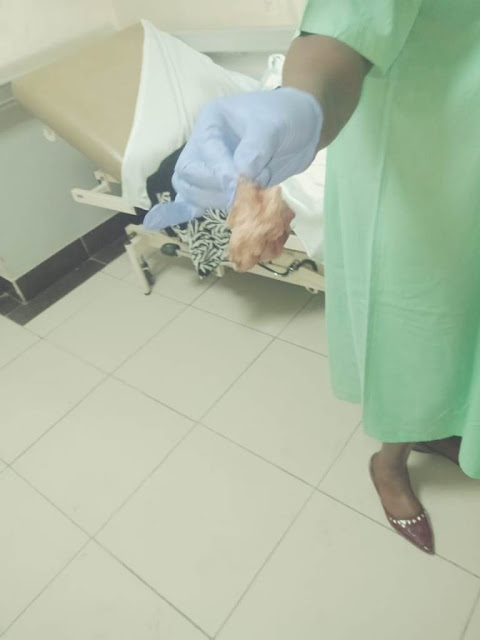 A teacher is appealing for help after a gynecologist in a prestigious private hospital in Nairobi forgot to remove a 10 centimeter medical clothe in her womb during an operation to take out fibroid. 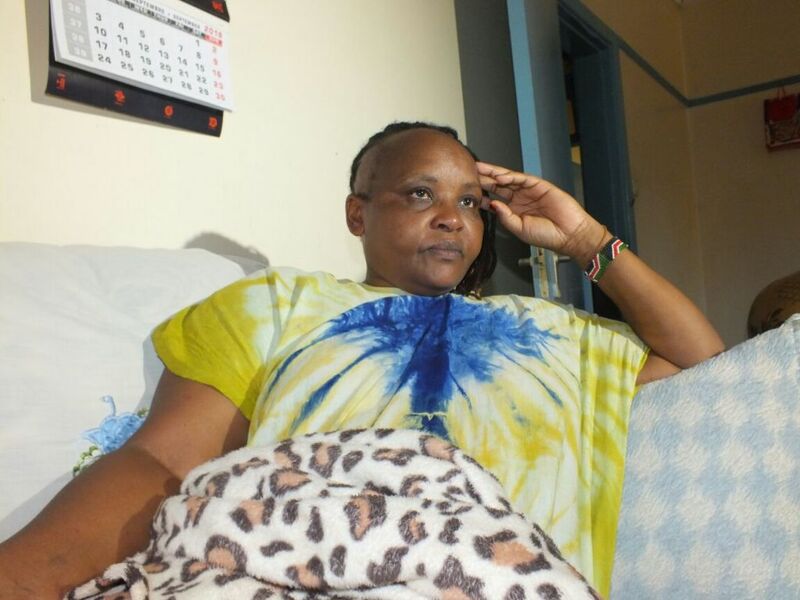 49-year old Jane Kageni, who is a deputy principal in a Meru school underwent the fateful operation at the hospital August 26 2018. Several days later, she started developing a severe blood infection and dangerous clots in her lungs due to the clothe that had decomposed in her womb. Kageni reckons that her life for close to 2 months has been unbearable as she grapples with unrelenting headaches and severe chest complication. Speaking from her home in Thika, she lamented that she has been reduced to a pale shadow of her former self to a point that she fully depended on her husband for everything including the basic chores. The ten centimeter decomposed medical clothe after it was removed after a second operation in a Nairobi Hospital. The distraught mother of 3 regretted that the hospital in question never bothered to accord her any remedy despite having spent over Ksh.400,000 during the botched operation. "After 9 days of excruciating pain and serious chest complications, we decided to seek alternative medical attention in another hospital where after several scans, the doctor discovered the decomposed medical gauge in my womb. I was admitted for over 5 days at an extra cost sh. 450,000," she explains. Medical reports on her condition revealed that Kageni is currently on very strong prescription to fight the blood infection and others to diffuse the clots that are lodged in her lungs as clearly captured in the scans. According to her husband Mureithi Kaara, their life has totally stalled as his wife requires constant care and he was forced to stop reporting to work to so as to enable him attend to her. “My wife is alive today only by the grace of God. We are hoping that after the current treatment the subsequent complications will be dealt with," he said. He appealed to doctors to always be cautious as their work involved human lives.